Quiches are delicious but are definitely not light. 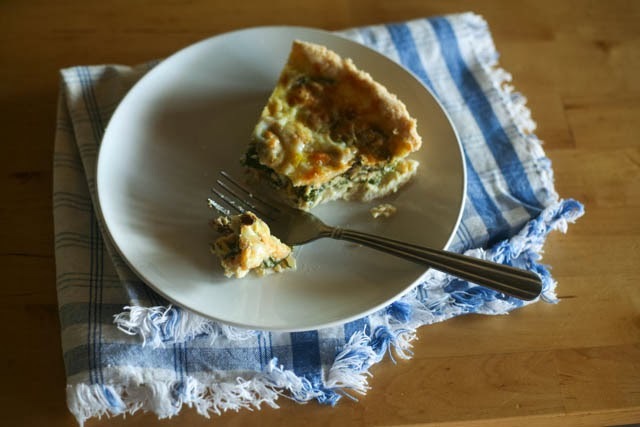 This recipe substitutes milk for the heavy cream that is used in most recipes to make a quiche that is still delicious, with a great texture, but just a little healthier. You can use whole, 2% or skim milk for this recipe (or even lactose-free dairy milk!). The whole milk will make it a little creamier but the other types will work too. If you are lactose intolerant, no worries, when you mix milk with other food it helps to slow digestion and allows the body more time to digest the lactose. 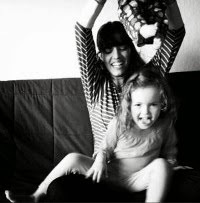 Using LI-friendly dairy foods, such as milk or yogurt, in baking can be a quality source of protein and calcium in without upsetting your stomach. Quiches are also a great way to use up different veggies you have lying around and you can experiment with different flavor combinations. 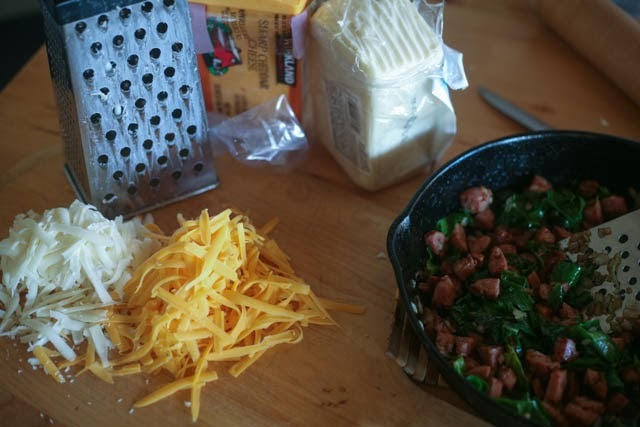 I used a chicken apple sausage, rainbow chard, and a small onion for this recipe but have also made quiches with bacon, spinach, mushrooms, and green onions. 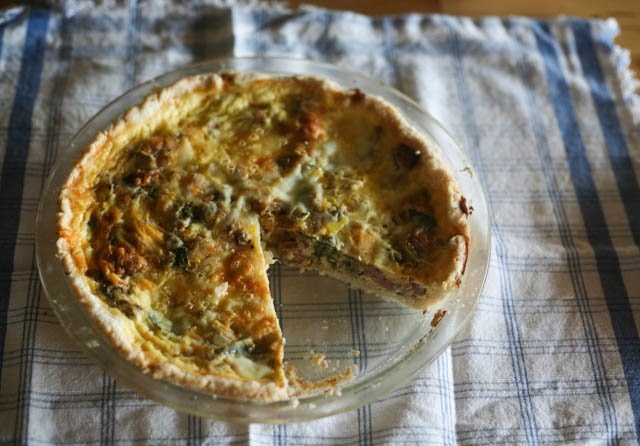 Don't use vegetables that will be too watery however because that can make the quiche a little runny. 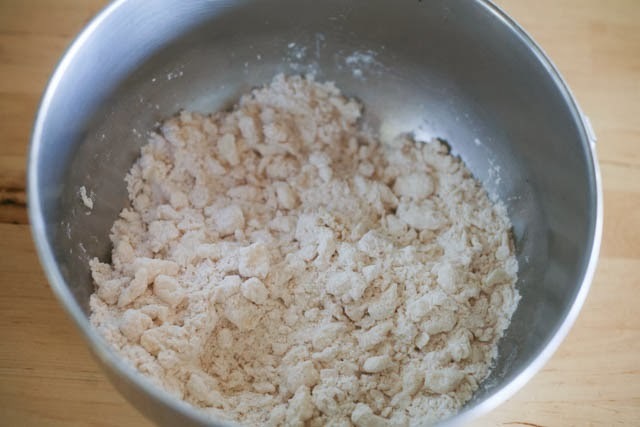 Mix the flour and salt, cut in the shortening with a pastry cutter or using two butter knives crisscrossing until shortening is cut into small pieces. Sprinkle in the water and mix. 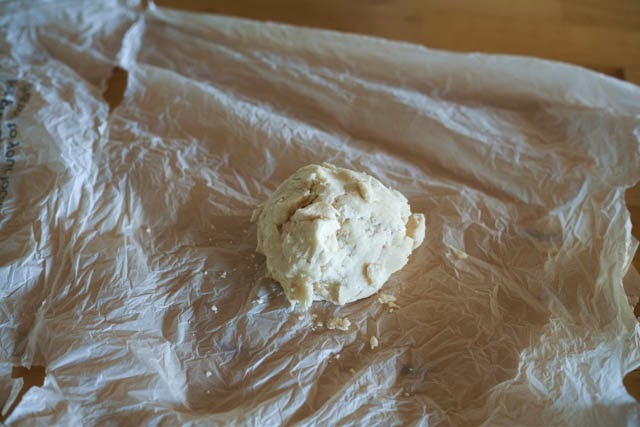 Press the dough into a ball, gathering all of the pieces. 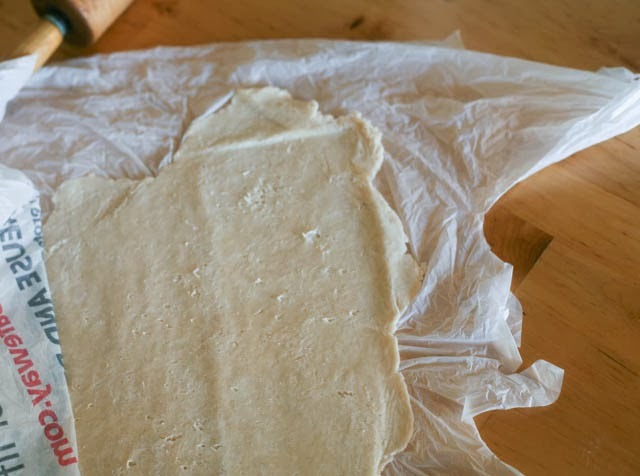 Roll out the dough in between two sheet of plastic food wrap, wax paper, or even an old grocery bag that has been cut open. 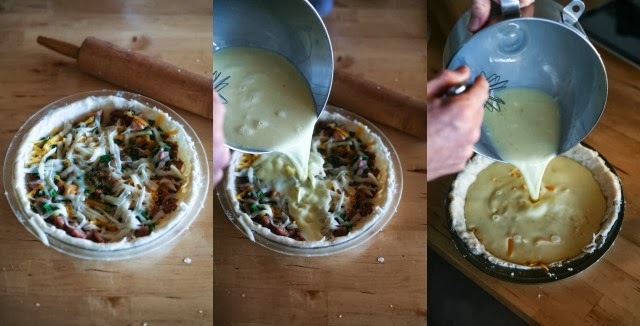 Peel off the top layer, lift up the crust and turn it over into a pie pan. Remove the other sheet. 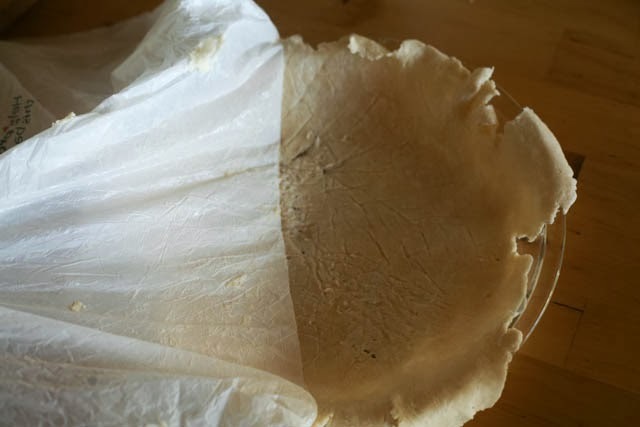 This is the easiest way I have found to roll out pie crusts and transfer them into the pan. 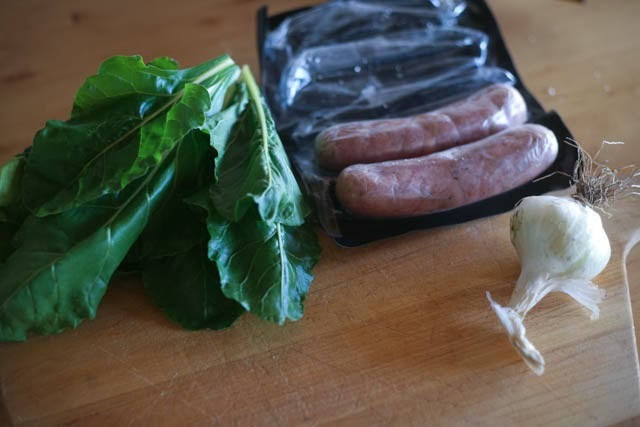 Sautee the onions and sausage together until onions are caramelized and the sausages are browned. Add the chard and cook until it just begins to wilt, usually another minute or two. Distribute the sausage mixture evening in the bottom of the pie pan. Cover with the grated cheese. Mix the milk with the four eggs, whisking until well blended. Pour this over the toppings in the pie pan and add the salt and pepper. Bake the quiche for 10 minutes on 400 degrees, then reduce to 300 degrees and bake for another 30 minutes until the center is firm. Remove from the oven and let sit for 10-15 minutes before serving. This post was written while participating in my partnership with the National Dairy Council, and as always my opinions are my own.